While most evidence of small firearms has consisted of isolated gunlocks and the occasional copper alloy fittings, we have identified a collection of five semi-articulated personal arms, including four partial muskets and one pistol. One of the muskets was originally manufactured with a safety, or doglock, which helps to date it to between 1685 and 1715. 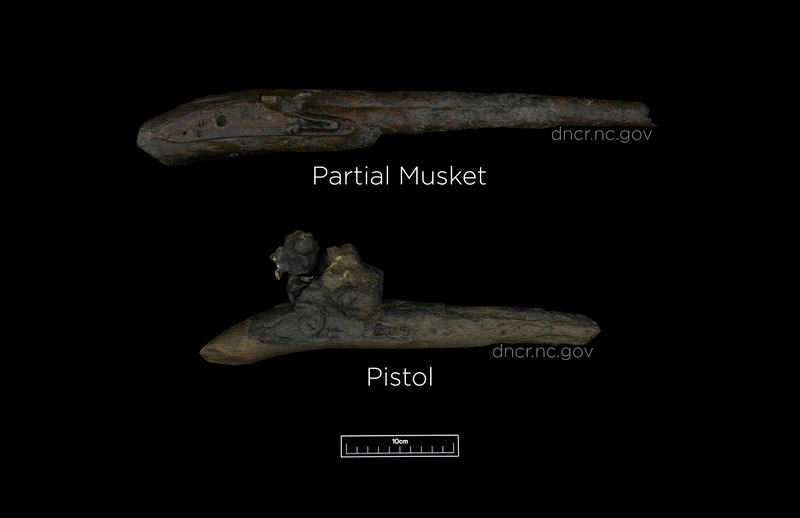 The most complete musket measures just over 4 feet long, and a third musket is still loaded with a very large two-part molded shot! The pistol can be dated by its features: the rounded lock, offset trigger, and iron trigger guard suggest that it was manufactured during the reign of James II around 1685.